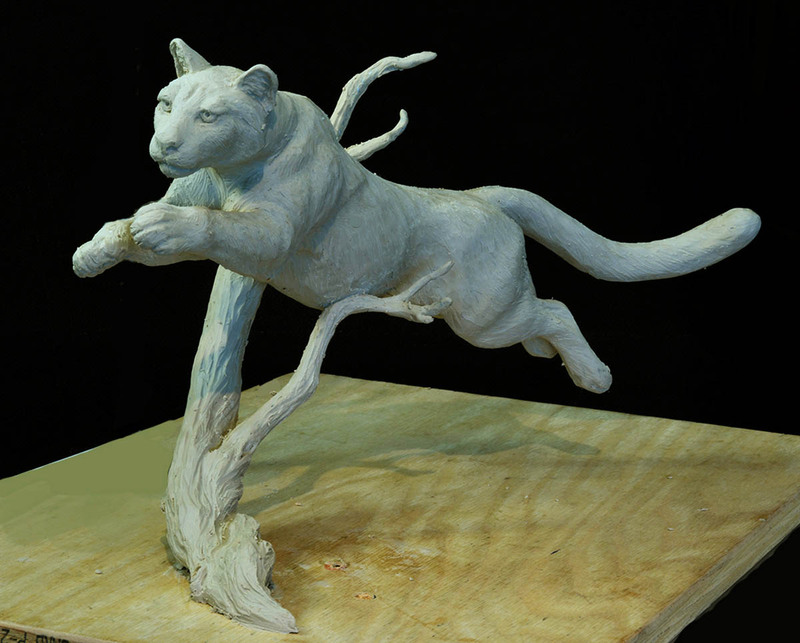 Just approved by my client, this clay study is in the process of being enlarged to life size for a beautiful property in Utah. 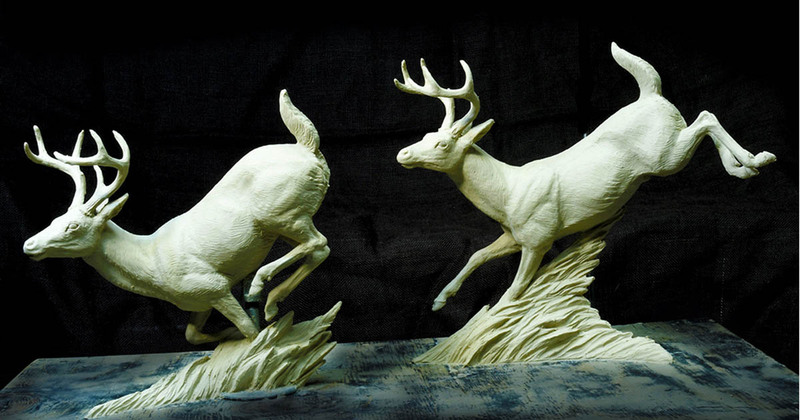 Once finished, it will be a limited edition bronze both in this table top size as well as the life size. Keep checking my website for updates as I progress with this exciting project. 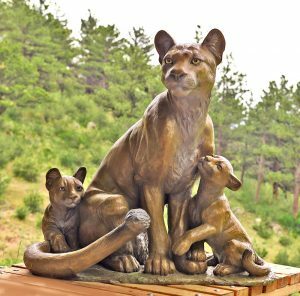 These three sculptures were designed to compliment this bronze of a female Mountain Lion with cubs I completed last year for the same patrons.